Which is the Best Site for JEE Main Online Mock Test Series ? Joint Entrance Examination (JEE) is held each year to select students for the top engineering colleges in the country. The examination is tough and it requires a lot of hard work coupled with the right guidance to crack this exam. What is also essential is to put your knowledge to test from time to time to get a clear understanding of how much you have grasped and how much you still require working on. 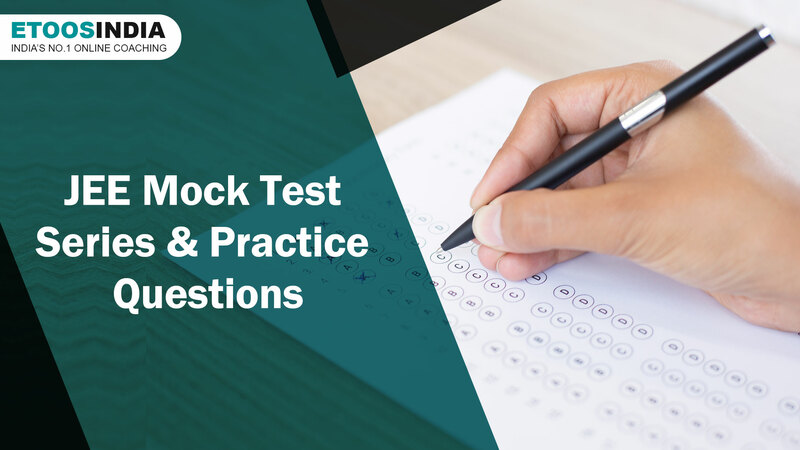 One of the best ways to test your knowledge is to solve JEE mock test such as the ones made available by the online JEE coaching expert, Etoosindia. 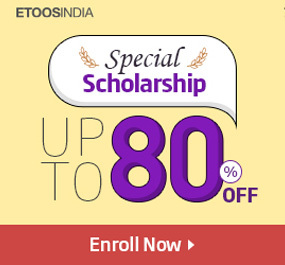 why you should opt for EtoosIndia JEE mock test paper? Jee online mock test made available here cover the entire syllabus. Solving these gives you a clear understanding of the topics you are strong in as well as the ones that need to be brushed up. The knowledge about your strengths and weaknesses helps plan how much time should be devoted to different topics. The ones you are weak in should obviously be given more time. Etoosindia jee mains mock test papers is completely based on the JEE pattern. Solving these thus gives you a complete insight into the examination pattern. So, you know how the paper is divided into different sections, how many questions will be included in each section and also the kind of questions that you may be asked in the exam. JEE mock test includes a good number of questions and you need to be quick in answering the same else you may end up leaving it incomplete. Solving jee main mock test computer based regularly helps you understand just how much time you should dedicate to each section in order to complete the paper on time. This helps in managing the time efficiently during the exam. 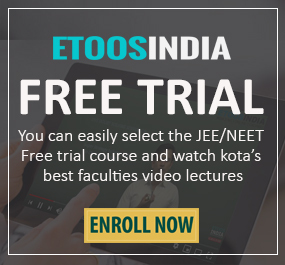 join Etoosindia VMTS (Video Mock test Series) for JEE Exam Preparation. Where can I find JEE Mains Mock Test Papers pdf format? Solving jee online test on a regular basis does not only help you manage your time better but also increases your speed and efficiency. Your ability to analyse and comprehend the questions enhances and thus does your level of accuracy and speed. Since these jee main mock test covers the entire syllabus, these are also a good means to revise your chapters. Revision is a crucial part of the preparation process as it helps you retain the information better. Answering various questions over and over again by way of these jee main mock test pdf is thus a great way of memorizing them. Also, gain insights about JEE and other entrance exams by the following Etoos blog Do let us know your views about this one in the comment section below.